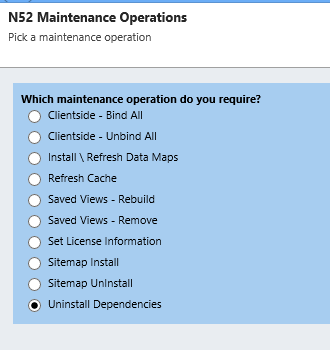 If you need to uninstall North52 BPA you can follow these set of steps to do so. The steps listed below are the ones required if you need to perform a manual un-install. Delete all formulas (both active & non-active) within the system. Delete all schedules (both active & non-active) within the system. Remove any North52 WebResources from forms you may have placed them on & perform a Publish All. 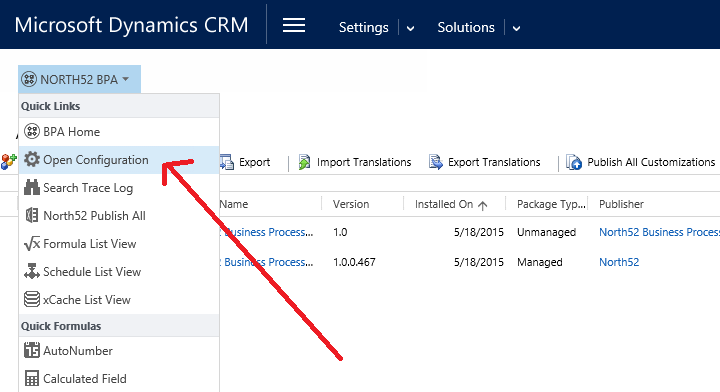 Remove the installed Bulk Record Deletion Jobs. Remove the installed Data Maps.